A splendidly appointed four bedroom detached modern residence providing truly spacious family accommodation in a highly regarded residential area convenient for the town centre, Arboretum Parkland and M5/6 motorway access. 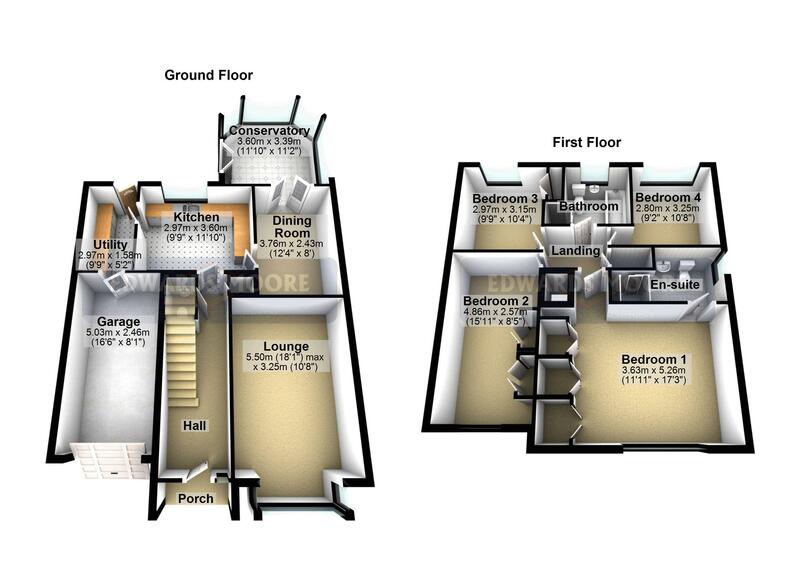 The gas centrally heated fully double glazed accommodation with many features comprises. 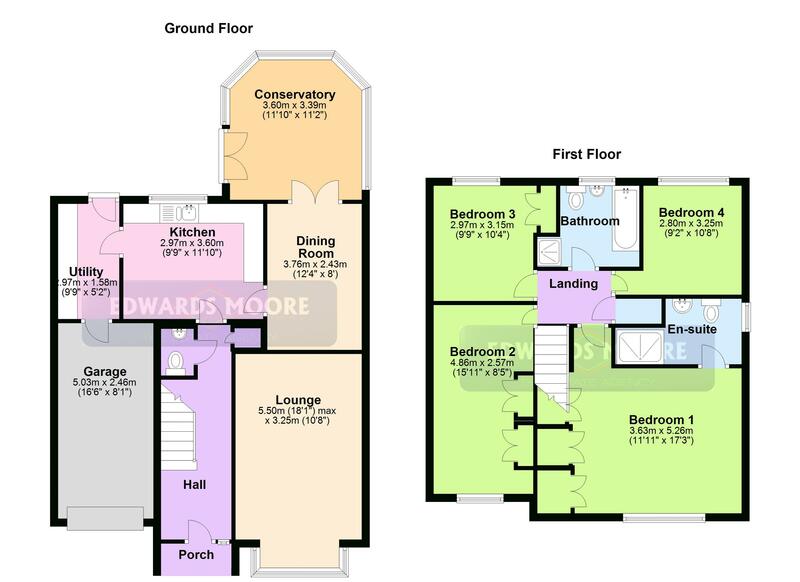 reception hall, guest cloakroom, spacious lounge, dining room, fitted kitchen, utility, conservatory, master bedroom with en-suite shower room, and family bathroom. Outside garage, fore garden with driveway. rear garden. EPC Rating D. Viewing essential. Having stairs off to first floor landing, smoke detector, radiator, laminate flooring, enclosed storage cupboard and doors leading off to. Having a low flush WC, vanity wash hand basin, heated chrome towel rail and fully tiled walls. Having a feature fireplace with fitted gas fire, double glazed bay window to fore, ceiling coving, two ceiling light points and glazed doors leading to. Having a double glazed doors to rear, radiator, ceiling coving and ceiling light point. Having doors leading to side elevation and windows to side and rear. Having a range of wall and base cupboard units, four ring gas hob double oven, space for table and chairs, radiator, parts tiled walls and door leading to. Have a wall and base cupboards, plumbing for washing machine wall mounted boiler, radiator and doors leading off to. Having loft hatch with ladders airing cupboard, smoke detector, cupboard, radiator and doors leading off to. Having a double glazed picture window to fore, a comprehensive range of built-in wardrobes with blanket cupboards, ceiling light point and door leading to. Having shower cubicle, chrome towel rail, fully tiled walls, double glaze obscure window to side and low flush WC. Having a double glazed window to fore, radiator ceiling light point and built-in wardrobes. Having a double glazed window to rear, ceiling light points and built-in wardrobe. Having bath, wash hand basin, low flush WC, heated chrome towel rail, fully tiled walls and ceiling light point. Having parking for two vehicles., security light, lawn, access to front entrance and garage. To the rear of the property Is a paved patio area, security light, lawn, timber shed with power point.